To really see the villages in the valleys below Sapa, you are encouraged to take a hike, and even stay overnight with locals. Ethnic farmers rely heavily on tourism to supplement their incomes so there is no shortage of ways to experience their lifestyles. I chose a 1-day hike with a female-run company called Sapa Sisters. 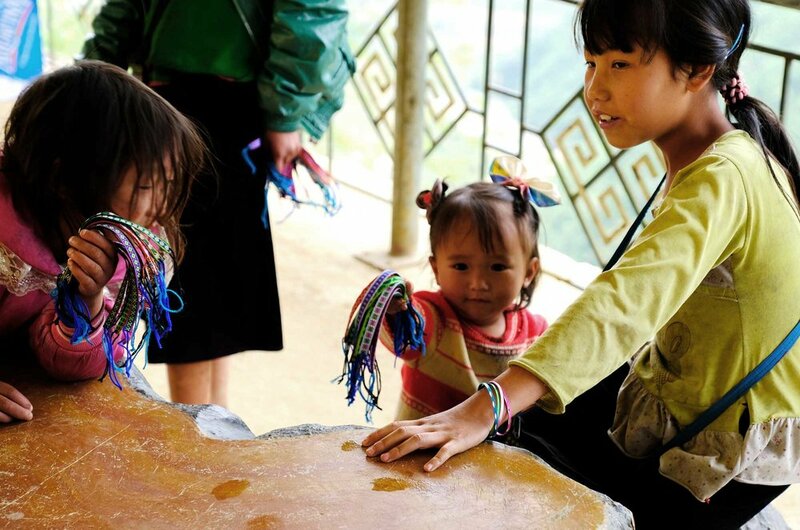 I was paired up with Little Mu, and we started off in Sapa town, a day after a heavy rain. I slipped down the muddy hills as she strolled down confidently in her sensible welly boots and umbrella. We talked almost nonstop as we left the clouds behind, her English perfected after years of guide work. I learned so much about her lifestyle and she learned... or at least heard, mine! The hills are alive with new life. Babies, kids, pigs, chickens, buffalo. They run amok and seem to be pretty happy with their freedom. I really wanted to learn more about at least one of the many textile techniques used in Vietnam. 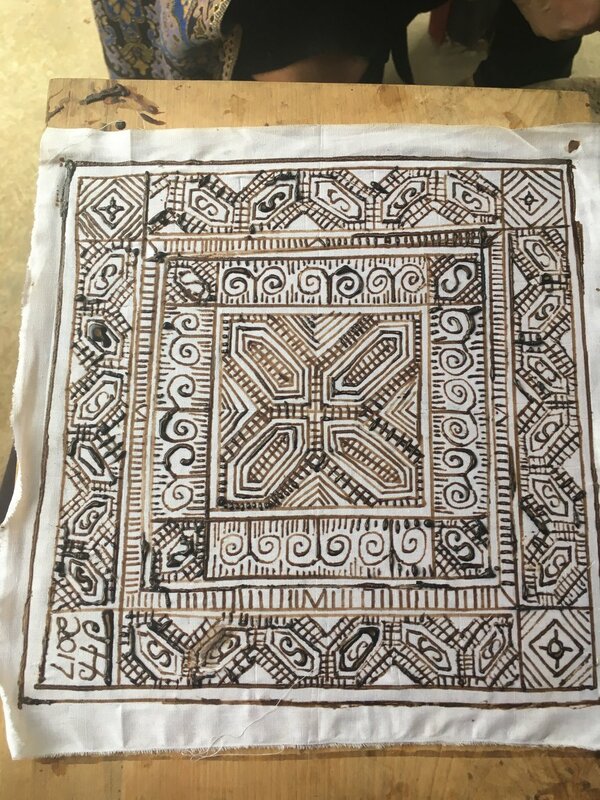 The last village we visited had a batik class, so I sat with MiMI for 2 hours as she taught me to draw beeswax on fabric. It was her design, and she instructed me; watching as I globbed lumps of wax all over the place! The wax was kept warm by hot coals and I was kept hydrated by the shopkeeper across the street. Two hours later, the pattern was complete! 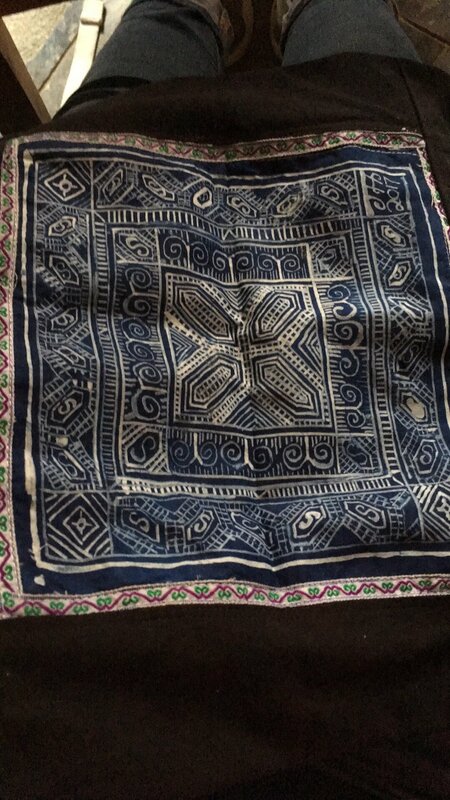 After it sits in a dye made from Indigo plant all night, it gets washed in hot water, which melts off the beeswax. The wax resists dye so the fabric underneath looks white (kinda). I had picked out a ribbon for detailing and MiMI sewed it into a pillow for me. Best souvenir ever! After my happy 2 hours of village crafts, watched carefully by the locals, I was loaded onto a motorcycle for the bumpy ride back to Sapa. I made note of all the honestays with good views along the way...best believe Rebecca is doing this with me next time!